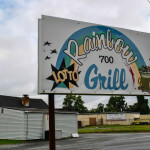 When Hereford and I started The Charlotte Burger Blog back in the fall of 2010, 1 we never fully realized what we were getting into. 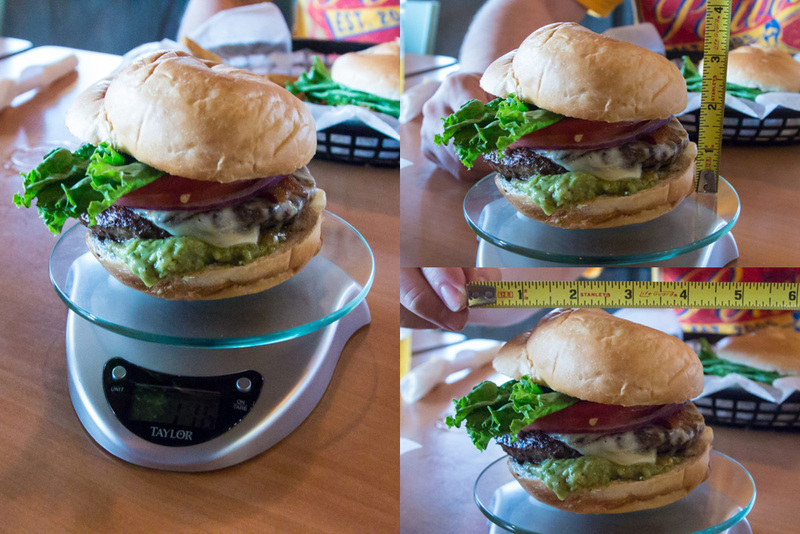 We just thought, “Hey wouldn’t it be awesome to review burgers? 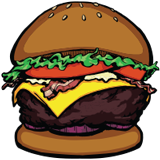 !” 2 We soon found out that you can find burgers not only in traditional restaurants, but almost everywhere you looked. You can find them attached to hotels, in small houses, industrial parks, ballparks, stadiums, small shacks on the side of the road, and in the backyard on your grill. Going with this thinking, we have been trying to find the the “not so well known” places that you can find a burger. One of these such places is the U.S National Whitewater Center. 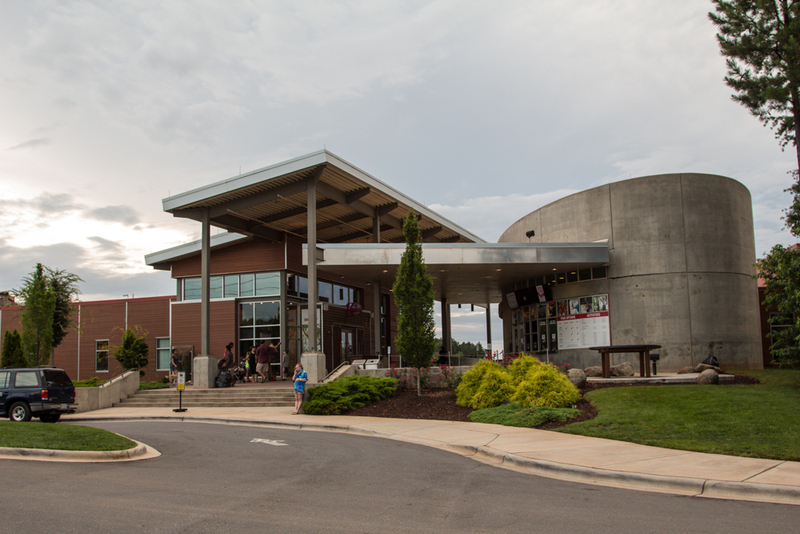 The Whitewater Center is home to the world’s largest man-made whitewater river that sits on the 400 acres of land that make up the whole facility. Their goal is to create a unique space that would allow people to escape their daily routine and to spend time outdoors. They have premier outdoor activities such as whitewater rafting and kayaking, flatwater kayaking, mountain biking, rock climbing, zip lines, a canopy tour, team building, obstacle and rope courses. All of these are pay before you play courses, but all the trails at The Whitewater Center are free (same with general hanging-outness) so you can come walk, jog, or bike on the trails whenever you like. You do have to pay for parking though, which is $5.00 3. 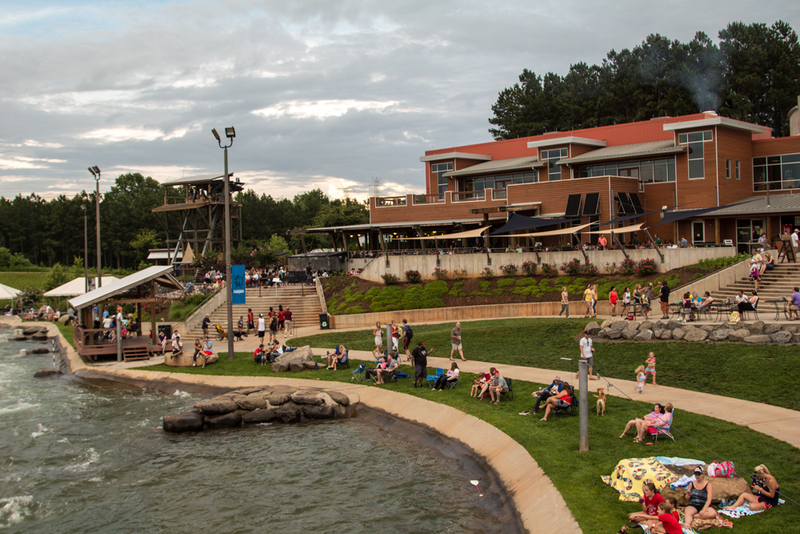 The Whitewater Center also offers free entertainment such as their River Jam concert series that takes place every Thursday and Saturday night from 7pm – 10pm, and events such as obstacles courses and every type of “K” race. While training for the Spartan Race last March I thought it would be a great way to familiarize myself with the course by running the trails. 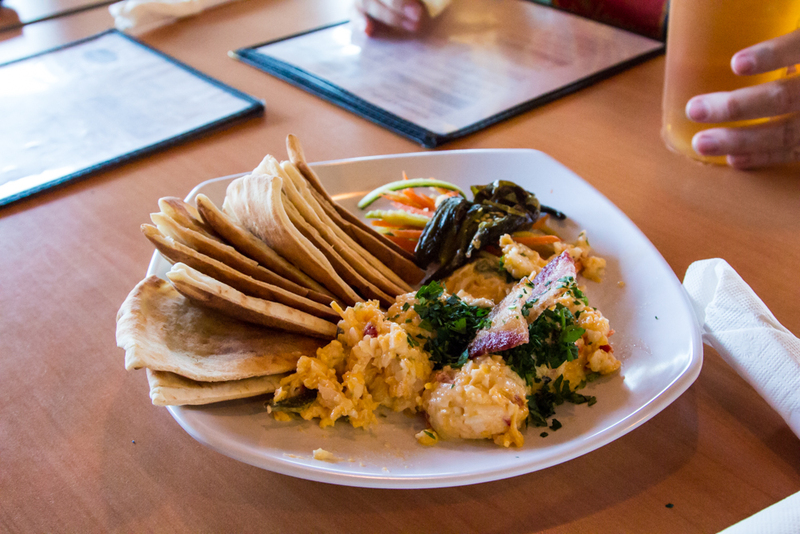 So every Saturday morning Mrs. Angus and I would go run (or jog….ok sometimes walk) the trails for a few hours and then head back to the main area and grab a bite to eat at the Rivers Edge Bar and Grill. I usually ordered a salad 4, but would always glance over their burger selection. And might I add it looked pretty amazing. So I do have to say that this burger was a little over priced (considering that it was not cooked to order 5, but I was mostly impressed with what arrived at my table. 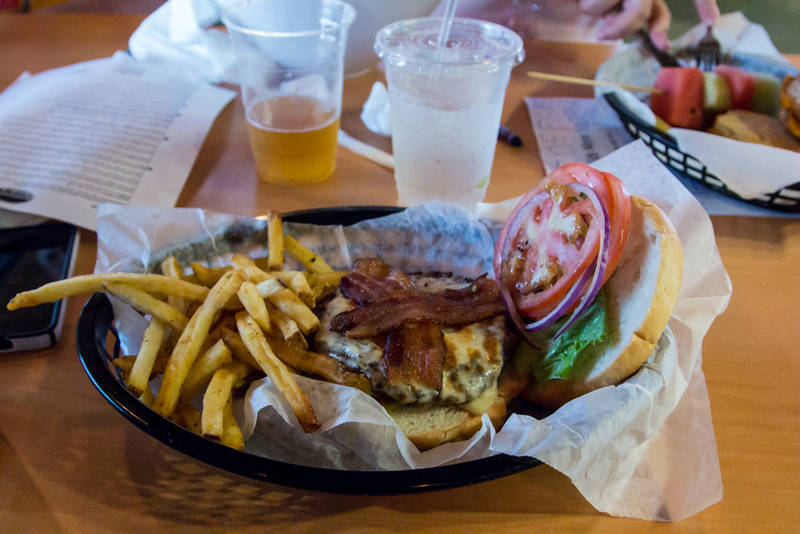 The burger was created with fresh and local ingredients. I usually do not order tomatoes on a burger, but when I know it is fresh and local I do. There is just something about local ingredients that make’s it taste a hundred times better 6. The bread and guacamole looked like it was made fresh in the back of the kitchen. The burger had a nice juicy taste too it, even though it was well-done. I think that they might be frozen based on the taste and texture, but it is hard to say. One of the servers said that they are made daily 7. The guacamole was wonderful, but I wished it was slathered all on top instead of a small scoopful on the bottom. It seemed like a condiment added, instead of an important ingredient. It had garnish lettuce, but it was a small piece and not the full plate sized kind you usually find when restaurants use this type of leaf. Overall I really enjoyed my burger. You have to keep in mind that this place is an activity center first and a restaurant second. 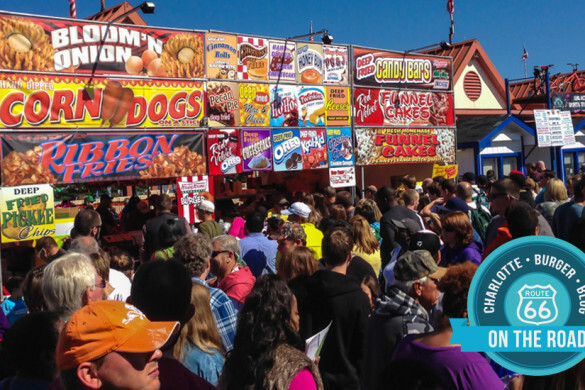 Kind of like eating in a restaurant at Carowinds 8. With that in mind, this burger was way better than what it had to be. River’s Edge offers a lot of different options with a huge focus on vegetarian and gluten-free meals. We had the Jalapeno Pimento Cheese Dip with pitas for our appetizer and I ordered fries with my meal. Before walking in though, I noticed that they had a Market that was attached to the River’s Edge and the outdoor bar. They offered small snacks and drinks as well as a regular burger and cheeseburger. I guess the fancy burger options are inside. Walking around a bit after our meal we spotted a food and beer cart on the man-made island (Belmont Abbey Island) that offered a Peaches and Brie Burger. What the what? That sounds amazing! I might have chosen that if it was in the restaurant. 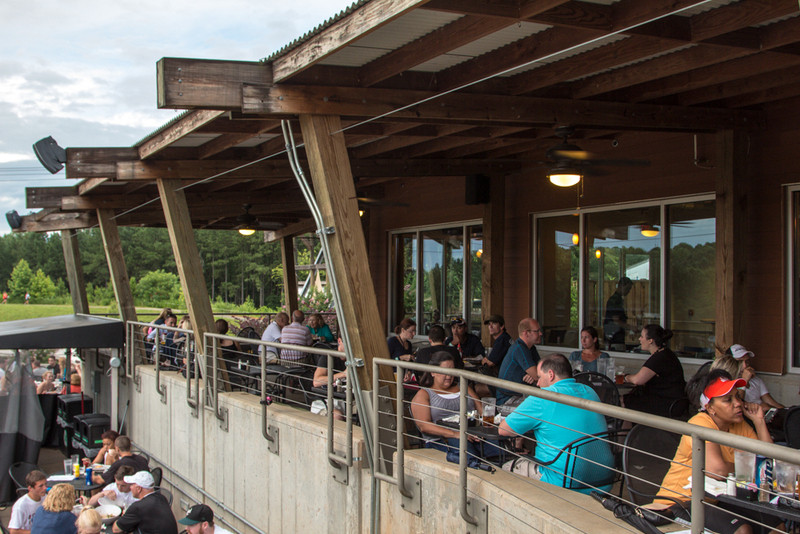 The Whitewater Center has a beer menu that changes almost daily, with over 20 craft beer selections available on draft. 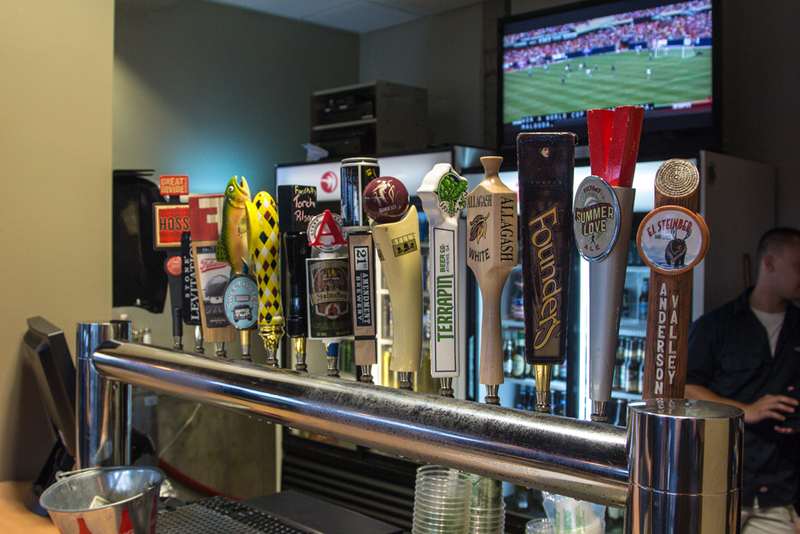 They keep their taps reserved for the craft beer, but they also serve the big three in cans. It still baffles me when I see someone order a Miller Lite in a can when a perfectly fine Stone Levitation tap handle is staring them in the face. And don’t fear, they have a bar inside and outside as well has beer carts strategically placed around the whole complex. 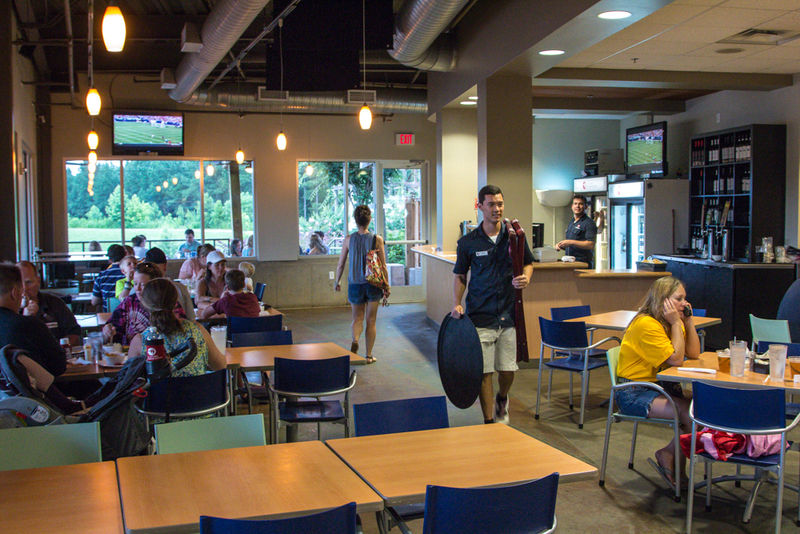 The atmosphere inside River’s Edge was more cafeteria-like (except for the bar…) than anything. It had plain tables and plastic seats and really no decorations or theme at all, but thats OK. Like I said before, this restaurant comes second to the Center itself. After all, people who eat there may have come in from the water, so plastic furniture is probably a good idea. The servers there were courteous and fast but our food took awhile to come out to us. There is both an indoor and outdoor seating area which is particularly cool if there is an event going on or a band playing that night. What was your favorite thing (non-food) about River’s Edge Bar & Grill? Most definitely that it is located within the U.S National Whitewater Center. There is so much to do there, for really almost any type of person. I have and will again. Either a salad (which are fantastic) or the Orchard Melt which is a sandwich that has chicken breast paired up with granny smith apples! 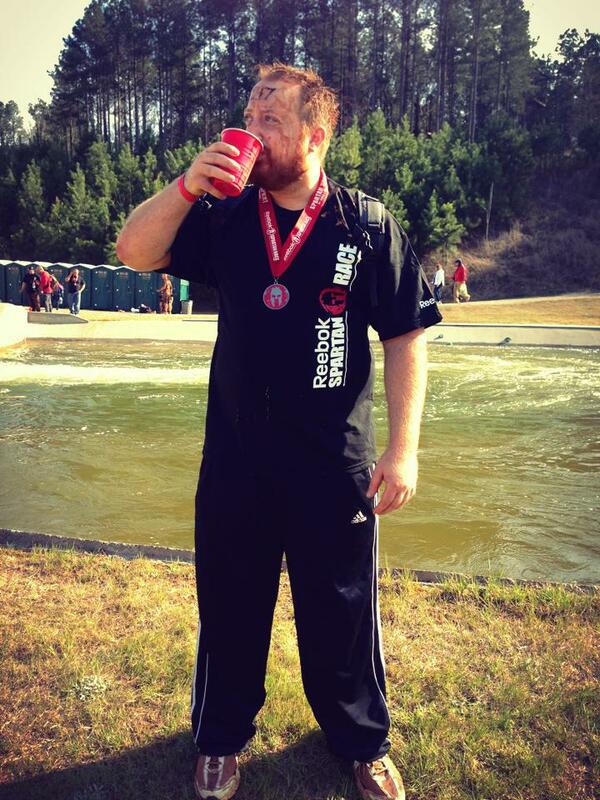 How awesome was the Spartan Sprint? Totally awesome. Being in the U.S Marine Corps for five years, I loved hitting the obstacle courses at every base I was stationed at. So doing it seven years later now with like-minded people was fantastic. It was raining on the day of the race so every trail and obstacle was muddy (even if it was not intended to be). My goal was to not fail more than 2 obstacles and finish under two hours. I failed the monkey bars and the wall sideways traverse (with the tiny blocks) and finished in 2 hours and 6 seconds. I totally nailed the spear throw though (which has a fail rate of 95%)!! Beer: The Spartan drink of freedom. 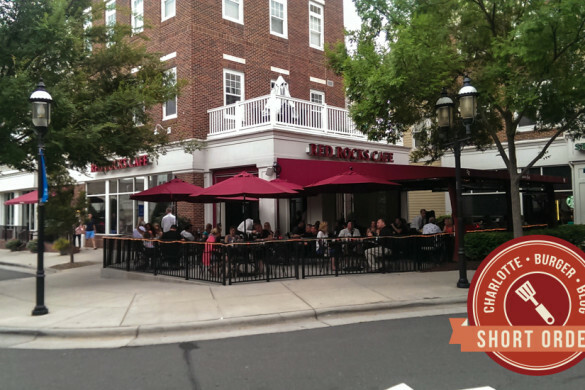 Does River’s Edge Bar & Grill earn the Charlotte Burger Blog Seal of Approval? 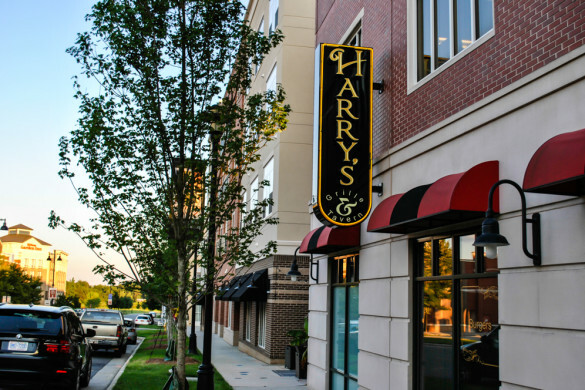 Using local and fresh ingredients and being in an awesome location is just not enough to earn our Seal of Approval. The meat itself was not quite the quality that we look for.